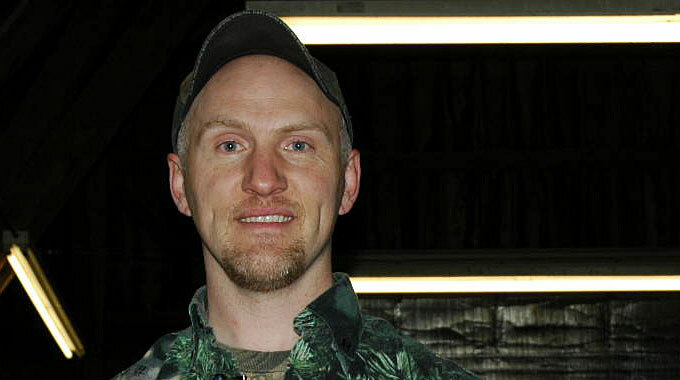 Ken Rohloff is the founder of WhippenStick Custom Bows. 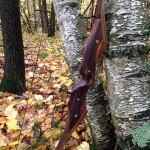 Ken is a custom bowyer and creator of the bow he calls the “Whippen Stick” custom bow. 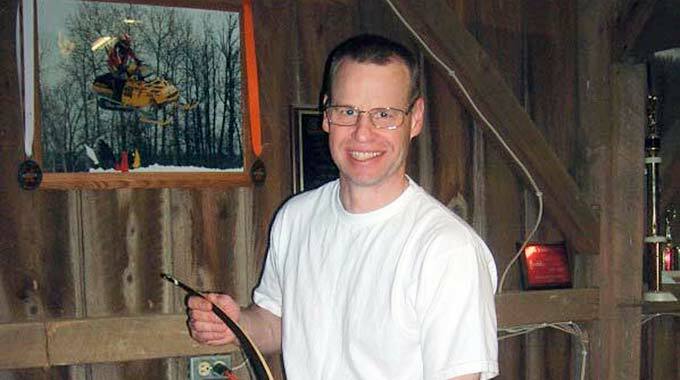 I first met Ken at the Leatherwall traditional archery forum probably in the early 2000s when he posted a few longbow pics. Immediately, I noticed how his bows stood out from the rest, not just because of the beautiful wood choices, but because of their refined, balanced design features, and obvious superior craftsmanship he had used in their construction. I later got to know Ken better at the Pirates of Archery traditional archery forum where we both posted a lot and had a lot of interesting discussions about making bows. 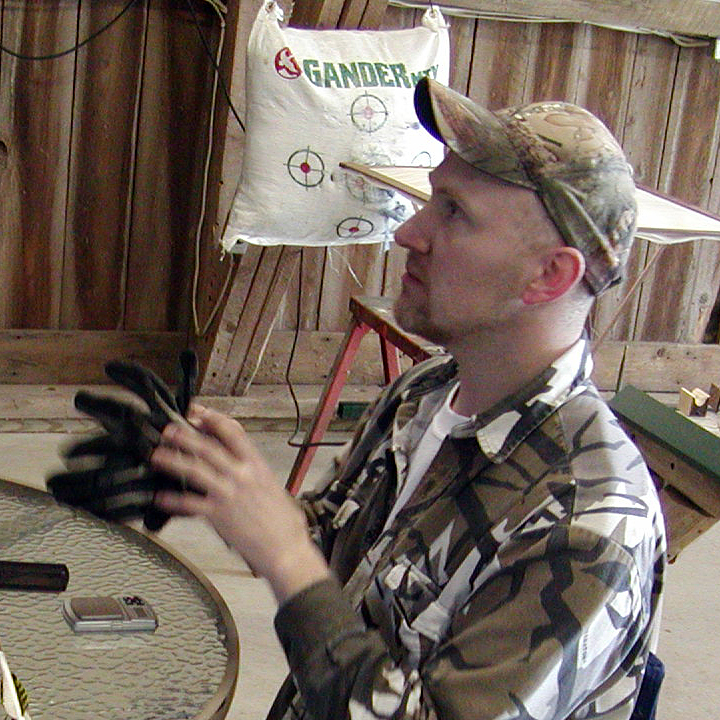 This led to us getting to meet each other in person when Ken hosted the Walk the Talk bow shoot in 2008 and 2009 at his home in Wisconsin. My son and I made the all day drive there both years and enjoyed testing the bows and talking shop with Ken and the other bowyers. 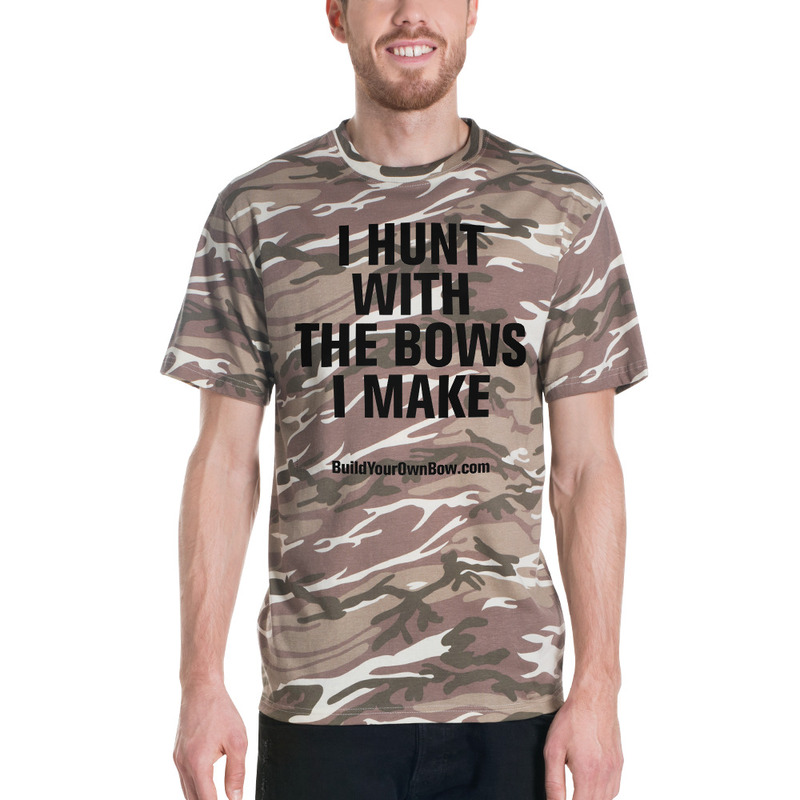 You can read about the second Walk the Talk bow shoot here. It was on my first visit to Ken’s shop in 2008 where the light really went on for me about how to design and build faster and more efficient bows. After seeing and testing the bows there, I remember saying that “I will never look at a longbow the same way again in my life,” and this has turned out to be true. Once the “light goes on” and you “get it” about how traditional archery works, you will never look at a traditional bow the same way again. That was an amazing experience, getting to talk with Ken and the other bowyers, who were willing to share all of their secrets and help other bowyers learn to accomplish what they had already done. The original WhippenStick longbow evolved through several trial and error attempts to obtain the absolute best performance attainable from a reflex/deflex longbow. It is a bow of elegant and graceful curves that comes to life with the pull of the string. Within the WhippenStick Longbow design lies a lightening fast bow that still maintains a stable and forgiving shooting platform. 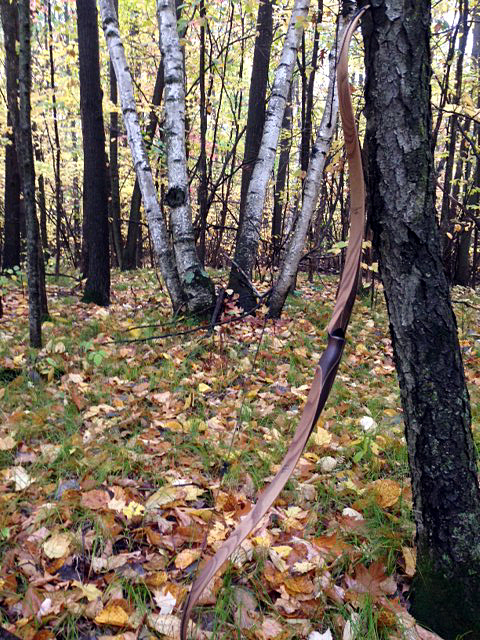 The WhippenStick longbow has gone through countless hours of field testing in some of the harshest conditions. From the jagged rocks of Arizona desert to the damp sub zero winters of the upper midwest, the Whippenstick has definitely proven its toughness. 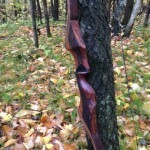 This certainly describes the bow I shot when I visited Ken’s shop. 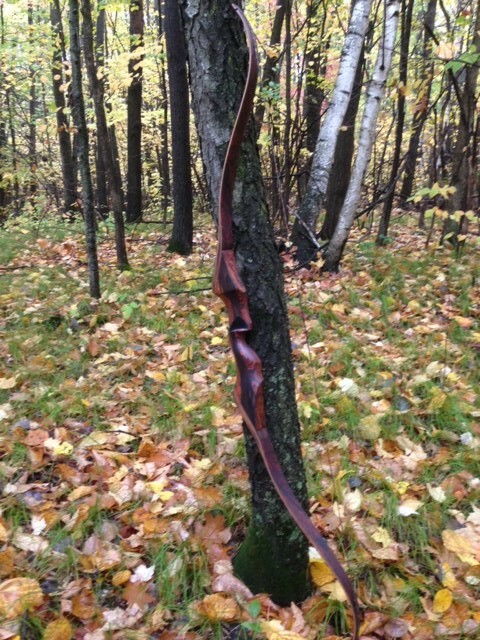 You can visit Ken’s website to learn more about the rest of the bows. Ken’s bows are expertly designed and handcrafted. Ken has a keen eye for design and proportion. It is obvious by looking at his bows. There are very few bowyers in my opinion with this level of sophistication in how he sees proportion, form, and function. Not many bowyers have this. Probably the thing I will always remember the most about meeting Ken is what he told me about designing and refining a bow design. He described how when he was tillering and balancing the prototypes for his WhippenStick Longbow he would sit on a bucket in his shop and stare at the bow. He said it sometimes took a while to see the form he was looking for in the bow. 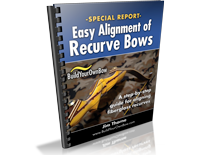 He called it “bucket time.” I’m sure most bowyers could benefit from slowing down, and really taking time to look at their bows, comparing the way the limbs bend and their tiller shape. Like Ken suggested, sometimes we just need to slow down and really take some time to observe the form and function of our bows. 1. How many years have you been making bows? Its been about seven years now. It definitely seems a lot longer though! 2. What is your favorite style of bow? I don’t know that I really have a favorite style. I kind of appreciate them all for the differences in their forms and shapes. As of right now I have been shooting mainly recurves for my own personal hunting bows so I guess that would be my favorite at this time but that could change overnight and I could be setting up something totally different tomorrow. I’ve been making quite a few Hill style bows for customers lately and I’ve been shooting those REALLY WELL so who knows, maybe those are my next favorite? 3. 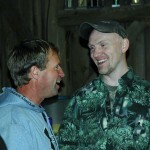 What is your best advice for a first time bowyer? READ! 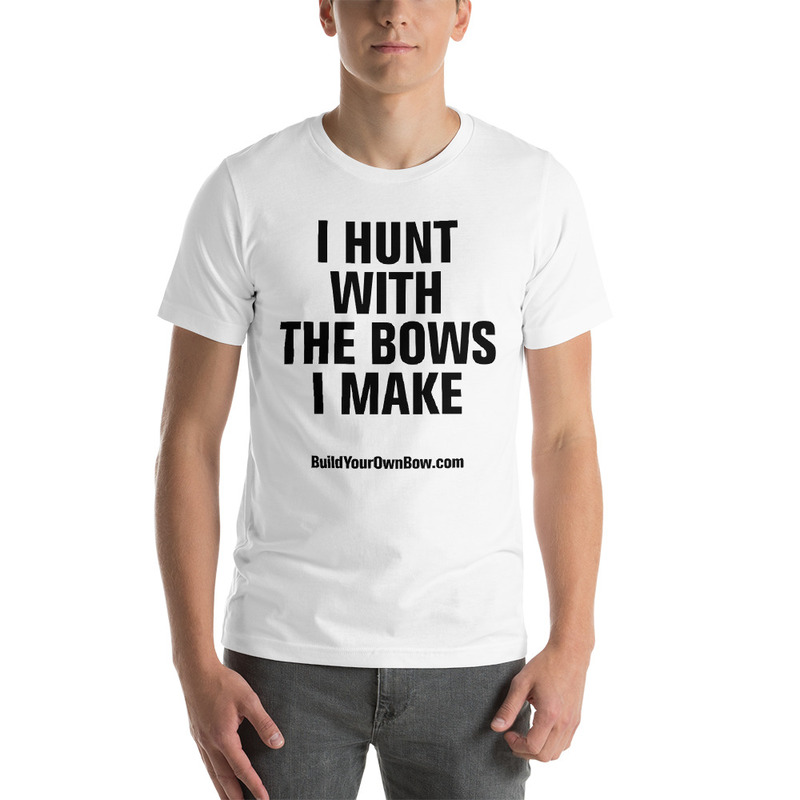 Read as much as you can before ever ordering the tools or materials for bow building. A new builder can shorten the learning curve by quite a bit just by reading as much information as they can on the subject. Look at pictures, follow bow build alongs on any number of archery forums. Get involved on these sites and ask questions. And then once you are ready to start take records of everything that you do! All your stack thicknesses, your taper rates, riser lengths, nock to nock length, what brace heights you are using with your bows…just everything that you can think of. You can never have enough notes! 4. What is your best advice for an experienced bowyer? Just to keep an open mind! Even though you have been doing it a while you’d be surprised what you can still learn. Sometimes I still pick up new ideas just off of a question someone new at bow building is asking me? 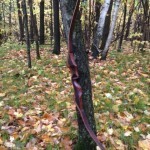 There are so many different ideas and theories about bows and building them that anyone could learn something new even from someone else with like experience or from someone new at it coming into it asking the right questions. 5. 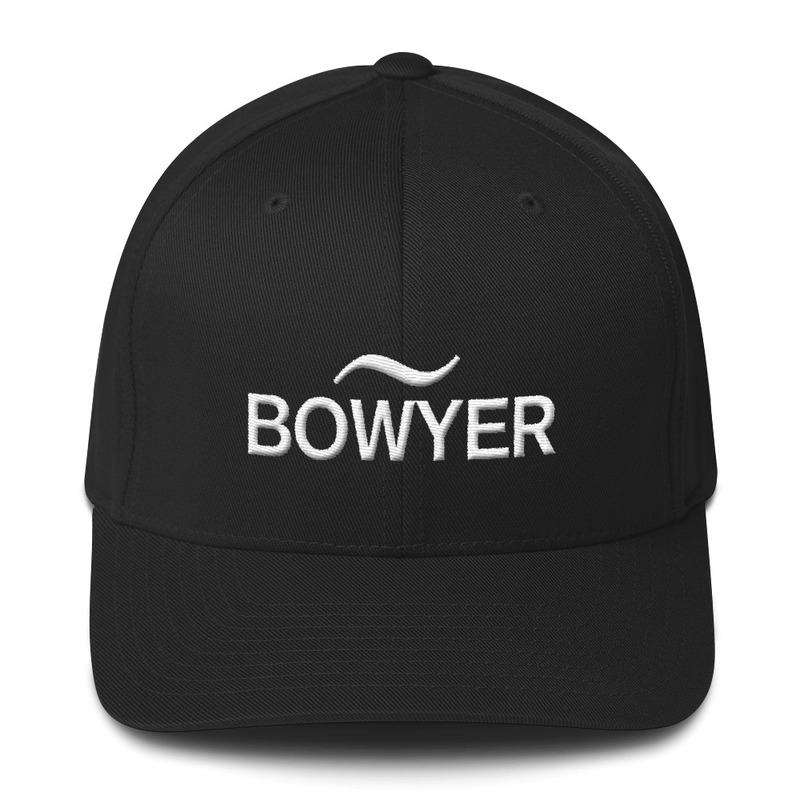 What is your best advice for someone who wants to become a custom bowyer? Wow…that’s a tough one! (laughs) I would say to them to think long and hard before you commit to that decision! But I’m not wanting to protect anyone from themselves and if I had one main small piece of advice for someone getting into the business it would be to start small and work your way up. Ive heard of some guys making the HUGE mistake taking out loans or letting someone to invest money in their business for tooling and supplies that they will never be able to pay back! 6. 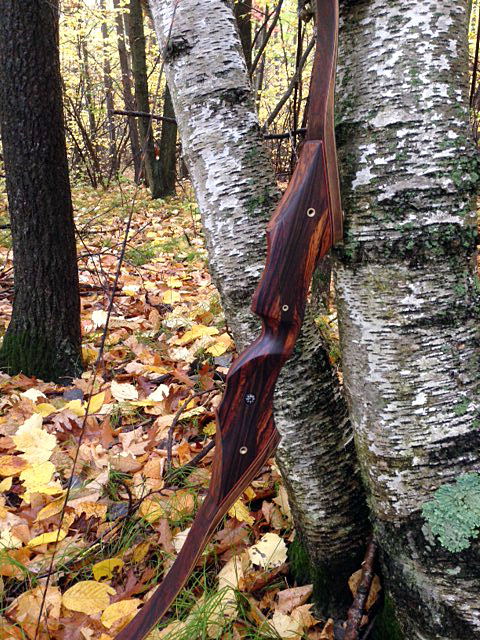 Do you have a favorite bow making tip you are willing to share? There are so many…but I guess if I had to pick one it would be to index all the components of your bow on the form. Most bows have tapered cores and they need to be at a certain placement in the form as does the riser. When you have it all gooped up in glue things move around and most times as you start putting the clamping pressure on the bow they like to slide into placement where you don’t want them. Ultimately, then the bow won’t work right or will take considerable more work to make it work right. So just simply drawing some lines on things, marking correct placement can save you a lot of trouble! 7. Do you have a favorite bow making tool or machine? Please tell about it. AHH yes! My edge sander! I have it set up to do almost every part of the operation of building the bow. All the way from grinding the cores to squaring up riser blocks, to grinding out the overall shape of the finished bow. Other than a band saw and a small hand-held disc grinder, its all I really need to make what I do. 8. What is your favorite riser material and lamination material? Why? 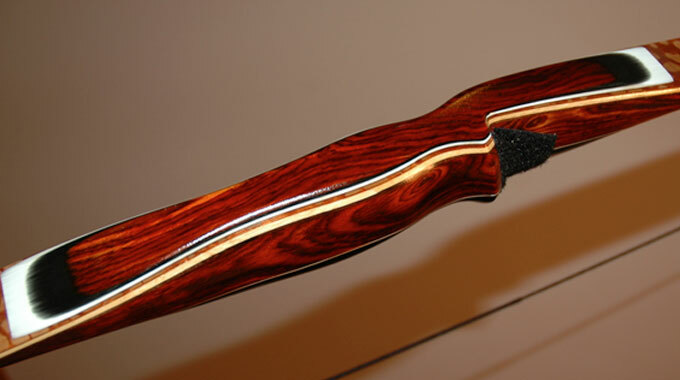 For riser material, it would have to be the good old common cocobolo. 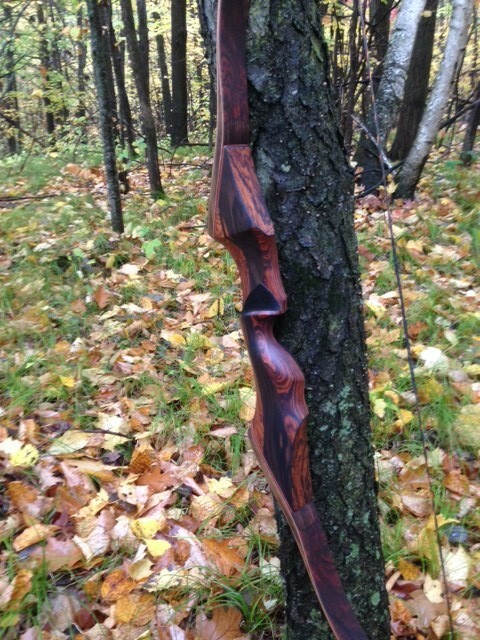 It varies so widely in color and grain structure that I could use three separate pieces and make a bow look like its got three different woods within its construction. For cores, it would be actionboo for both its strength and its consistency from one piece to another. 9. 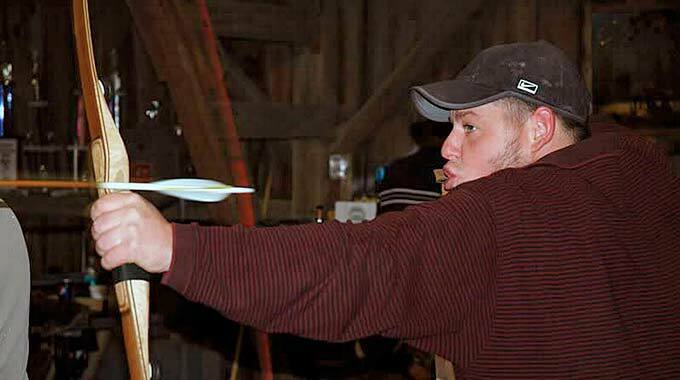 What are you most excited about in archery right now? 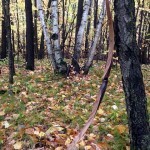 What’s exciting to me is seeing the single string bows making a comeback in the hunting world right now. 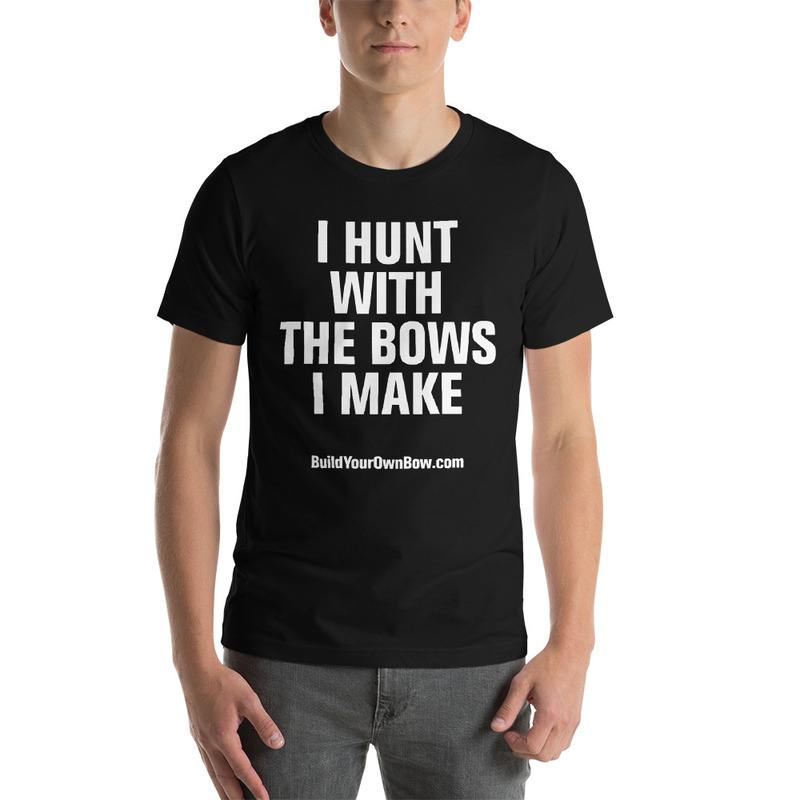 Over the last three or four years I’ve had quite a few orders from people either going back to a longbow or recurve from using a compound or that have never hunted with anything but a compound that want to do it. 10. Are you working on something new? It seems I’m always working on something new even though I feel like I don’t have time for it. Whether it is building something based off customer demand, or I’m doing a favor for a friend to copy or revamp a bow no longer being built by another manufacturer, it seems I’ve always got a new project to work on on Sundays. Not saying when it will be done but hopefully soon I will be shooting the new three piece longbow that is on the drafting table! Its mostly just a vision as of right now but the form materials are in the shop and I have a pretty good idea of the look I’m after with it, so yeah, that’s whats in the works right now. Click on each photo to see it full size! Excellent article. Ken has helped my bow building a great deal as well .